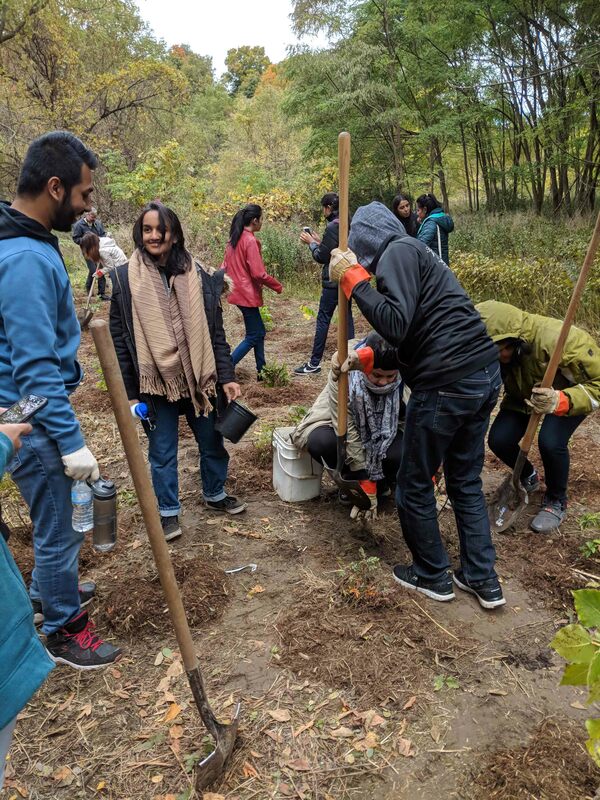 On Saturday, Oct 13, six members of the Toronto chapter of AYUDH and one AYUDH mentor together planted 50 trees in Cedar Ridge Park in Scarborough, as part of Green Friends Tree Pledge in honour of Amma's 65th birthday. The Cedar Ridge Park tree planting event was organized by the City of Toronto and Centennial College. It was a beautiful fall day, and there was a large turnout from the local community. In total, hundreds of native trees and shrubs were planted in just two hours. 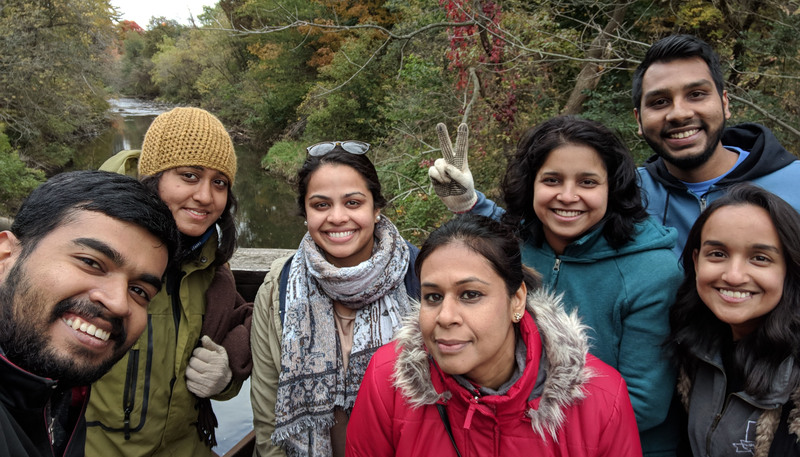 As the photos show, the AYUDH Toronto members thoroughly enjoyed working together outside while practicing Amma's teachings. Their impact on the environment was tangible, making the work very rewarding. The youth said they felt wonderful after the tree planting, and that they had a lot of fun. The atmosphere of camaderie continued during the satsang that evening, which the same youth attended. For many years now, Amma has been asking everyone to plant trees. This year, Amma invited each person to plant twelve trees, one for each month of the year. AYUDH Toronto members have taken up this challenge, and are keeping track of how many trees they plant from Aug 2018 to Aug 2019. So far, AYUDH TO members have planted 60 trees in total - a great start! AYUDH Toronto has also pledged to do one service activity per month, be it tree planting, a soup kitchen or another charitable project. AYUDH Toronto wishes to thank their senior mentors for their ongoing support in the conception and realization of these events. Stay tuned for next month's event!